Last couple of month I am working on a music video for my own piece of music Safe Distance. Safe Distance is a music clip portraying a young girl playing and dancing outdoors while an intruder walks in, and the way in which she defends her self. The video premiered at the EYE film institute in Amsterdam on the 28.07 as a part of a selection of short films from the graduating student of the audio-visual department of the Rietveld academy. 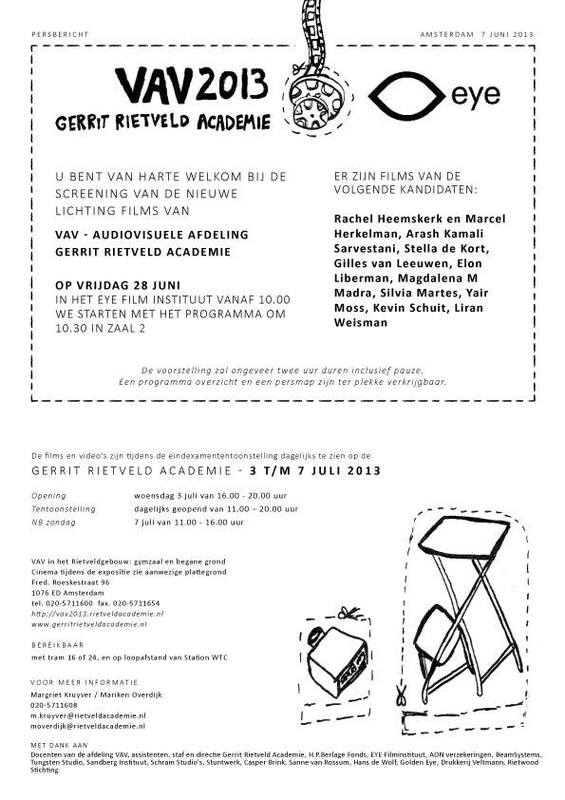 later it was presented in the Rietveld Graduation show: 3 - 7 July 2013. more info at the bottom of this page. Harry Heyink, Martin Grootenboer and Hans de Wolf. The Rietveld Graduation show 3 - 7 July 2013 at the Gerrit Rietveld Academy in Amsterdam.